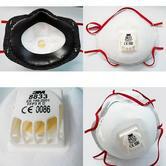 Disposable Respirators 8833 made using 3M Advanced Electret Filter Material. This unique Filter Material provides low breathing resistance and giving excellent protection against: sub-micron particles, non-volatile liquid mists, fine dusts and biological agents. 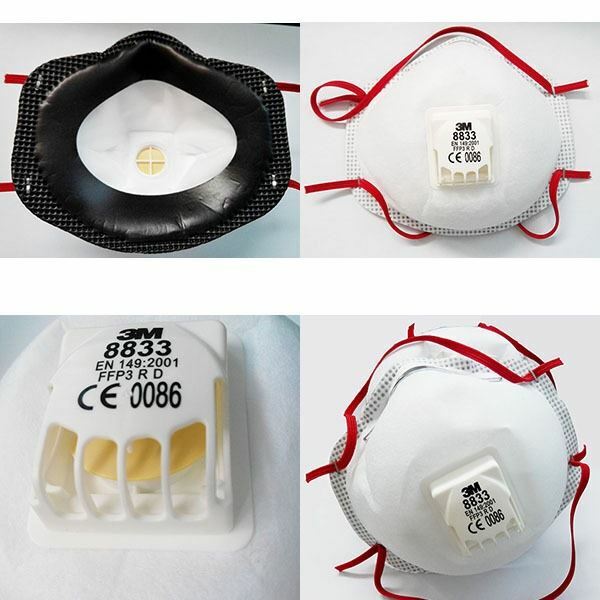 8833 FFP3 Valved Mask made with 3M Cool Flow Valve, which provides effective removal of heat and moisture for a cooler and comfortable wear. 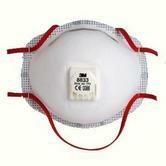 3M FFP3 Valved Respiratory Mask 8833 conforms to EN149 : 2001 Safety Standard. Fits wide range of face shapes. Colour coded straps : Red =FFP3. 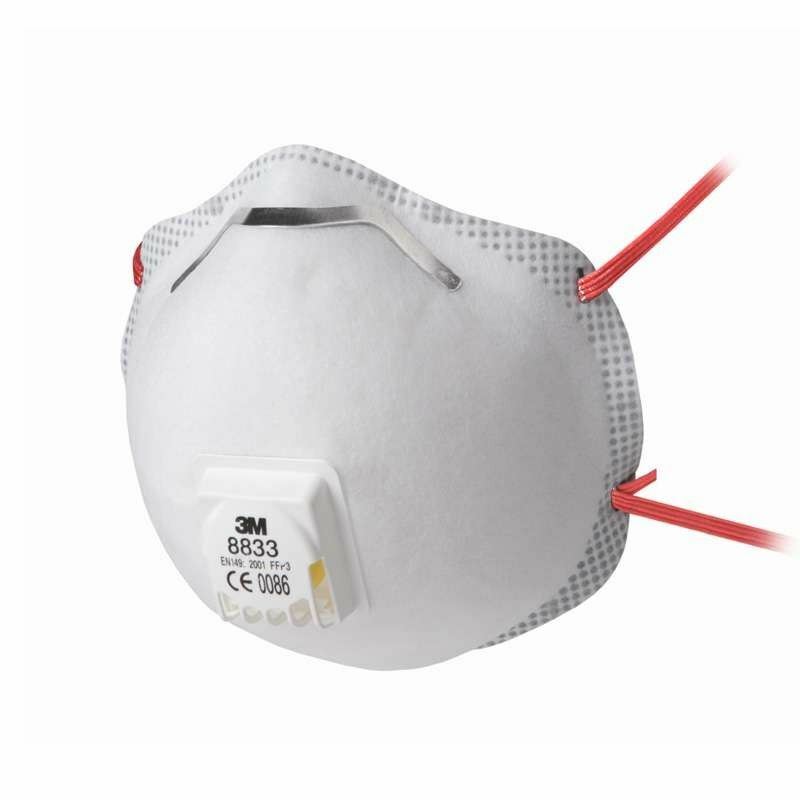 Conforms to: EN 149: 2001 FFP3 R D.
Protection class FFP3 respirator masks offer maximum protection from breathing air pollution. Filters poisonous, oncogenic and radioactive particles. Total leakage may amount to a maximum of 2%-5%.